I am just another girl out there who adores her dramas. I am an avid watcher of dramas and have been watching it for as long as I can remember. I started out in Hong Kong dramas (first one was Virtues of Harmony), then Taiwanese dramas (first one was… probably Romantic Princess or Hana Kimi), then Korean dramas (first one was You’re Beautiful) or Chinese dramas (first one was Let’s Go Watch Meteor Shower Together) and then recently Japanese dramas (first one was Rich Man, Poor Woman). No, no, actually I am no adorer or avid watcher of dramas, I live dramas. I love watching dramas because I just love it. (: It is a place for me to relax and enter another dimension. What dramas do I watch? Which one is your favourite? It was everything but Japanese dramas but now I have had a taste in each of the different variety. I can’t actually say I have favourite genre/type of drama because each one of these are different and are executed differently to give a different effect. Hong Kong dramas are more “reality” based whereas the others are usually more “fairytale” based. Personally, I am a lover of romance dramas but there are dramas that I love that are not romance. So all in all, I just like whatever depending on the drama itself. Dramas are like a fairy tale, a world that would never exist in my life. I want people who watch dramas to think of it as a fairytale no matter what the ending is because 100% of the time there will be happiness out of it. A fairytale is also what I dream of because it is just that, a world that I can never have. It’s funny because with every drama that I watch, it is a fairytale. There will always be happiness there and everyone lives happily ever after, well for majority of the times. Because I am a drama-er! Ahahahahas! I love my dramas and I want to be able to share my interest to everybody out there. There are people out there who, like me are a drama-er, so this gives them the chance to join me in this wonderful adventure. I want people to share their drama love with me. Come join the love! Why not blogging/recapping? Ahahahas! Since I am a drama-er, I figured I should put this to good use. I want to share my views and opinions and give people the chance to voice their drama opinions. I want people to have an insight of my views on dramas because I know I love reading what other people think. I also want to help people because if I can do something that I love and help people, that is all for the better isn’t it? Being here and doing this is because I want to not because I have to. I usually like to keep at least one recap/overview on my hand because I am always watching dramas and I would like to keep this blog active. I also do ‘my opinions’ and synopsis. I am a very emotional girl when it comes to dramas. I have lost count how many times I have cried for a drama. When the drama is in a happy mood I will feel happy. When the drama is in a sad mood, I will feel sad. You seriously do not know how sad I can get. 😦 Yeahhh, I just go with the flow of the drama. Ahahahahs! Feel free to ask questions and comment. I promise, I won’t bite, I’ll just share my drama love! Haha just came across your site and I would like to thanks for adding my site to your links section 🙂 Would you mind if I add you to my affiliates list? I come across ur blog when i search queen of sop recap. I love ur blog and thank for your hard work. Fighting!!! (I watch a lot of drama too). Hi, i just started following your blog and i love it!! Did you know i also watch all Hong Kong dramas except for a few too as well as Taiwanese dramas just like you! Haha! I’m just glad that i found your blog!! Really? We’ll become drama buddies! I started watching Sop a week ago but after 9 episodes I got really tired bec it’s so long.., and I can’t wait to see the part where she realized that she’s actually in love with the Peter Rabbit. Can u tell he at which episode did she find out that he is actually Tom? Naaawwws, thanks! I’m glad you enjoyed it. I’m not sure there are two different versions – the Chinese version and the Taiwanese version. This is a great blog! I was going to watch Refresh but then I just read about it on your site. I was wondering if I could add you as an affiliate to my blog? I’m currently watching Agent X and Big Red Riding Hood… let me know! Thanks for the add!! I’ve gotten through about 3 episodes and I’m on the fence because it both kickass and dark. It almost feels a little bit like Zhen Huan Zhuan in its complexity and nuance. But since I love Luo Jin and feel like I’ve already become emotionally invested in it I want to keep on watching. LOL I’ll let you know how I feel about it in a few more episodes! Found you a few days ago when I commented on the WGM posts. I am new to Korean dramas and am anxious to look into the dramas from other countries which you have mentioned. I live in the USA and am now watching more K-dramas than regular tv. I don’t know why I didn’t know about these dramas before now! I love them and find myself becoming emotionally involved in them. I remember one drama that I was crying so much that I was beginning to go to work with puffy eyes! HA Anyway, thanks for your blog and I am looking forward to your reviews and comments. Ahahahas, welcome to drama land sweetie! Once you get into dramas you will be hooked and never want to look back! Oh my God… I finally found the blog which I have been dying to visit.. 🙂 Yeyyy!!! Btw, have you watched “When that winter comes, the wind blows”? It’s Korean and by far one of the most watched dramas in my opinion.. It’s so damn good.. Highly recommended..
You should watch the drama Just You starring Aaron Yan! I would love to see your recaps on it. Awwww, I am glad to hear that you like my recaps. Ahahaha, Just You just doesn’t float my boat and I just don’t have enough time to watch it! Hey I read through your about page and I think it’s wonderful what you’re doing. I can see the pure passion that you have in your blog and how you write about each series of drama. I admire your work and I think you should keep at it. I just think you may want to check out more J-dramas because a friend of mine called quan told me that they are good. Anyways, I don’t want to make this too long, I’m going to favourite you on my chrome tab because your blog is so awesome!!! ! Ahaha, I am trying to but there are time-constraints with life! But I’m trying to watch more j-dramas! Awwww, thanks! It really brightens up my day to hear that! 🙂 It really does, I am glad that you enjoy reading my posts. Thank you! I will get to it soon! Thanks for the nomination! I’ll get to it soon! Hi~! 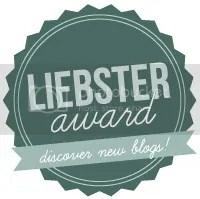 I nominated you for a Liebster Award 🙂 I really enjoy your blog! Awwww, thank you! I’ll will have the answers to your questions posted up in the next week! Well I’m a drama fan too. Started with K-dramas. Watched Taiwan “Silence” with Vic Chou (?spelling) and then watched some more from Taiwan. Just found some TVB dramas on the YesAsia web page. Can anyone tell me the difference between them and the other dramas? They are certainly much less expensive. I was looking to purchase “My Brothers Keeper”. Also – sounds like you all have watched MANY dramas/series. I usually buy what I want to watch from YesAsia. It gets quite expensive. I do not get the Korean channel. I get really annoyed with the commercials on DramaFever and Viki. Maybe I should just buy the upgrade for DramaFever and get my dramas without the commercials? Install Adblocker and you won`t get the commercials on Viki. Didn’t know there was such a thing! Many thanks! Hey hey! 🙂 http://givemedramas.com/2014/09/20/the-sunshine-award/ You’ve been nominated!